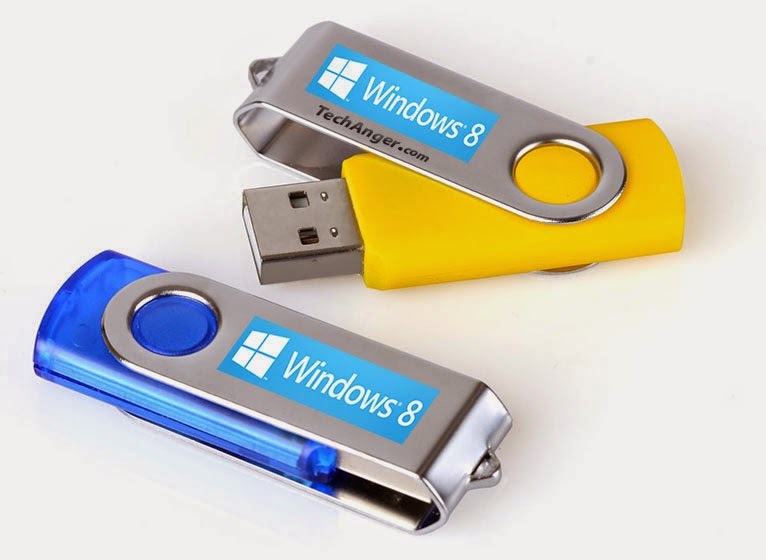 Now you can boot new windows to your pc without cd/dvd by creating bootable USB flash drive.You need only a 8 GB USB in which you can boot your favorite windows in minutes and can boot it directly from USB Flash Drive. 1 : Download Windows in iso format from torrent/other websites. 2 : Download iso to usb http://www.isotousb.com/ and install it. 3 : Open iso to usb, click on browse and select windows iso file. 4 : Select your USB flash drive ( USB will be format and erase all data ) and tick on Bootable. 5 : Click on burn and wait till it complete. Now you can boot new windows from your usb. 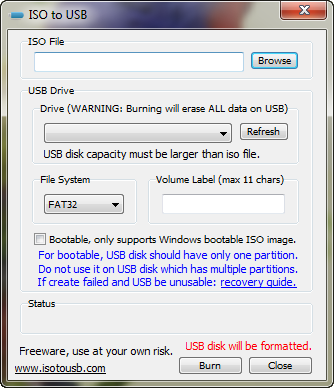 1 comment to ''How To Make A Bootable USB Flash Drive for Windows 7/Windows 8"
How to burn ISO image to USB drive?